It's time to get (kind of) serious about the NFL Draft, which is two weeks away, so Peter Schrager of Fox Sports (@PSchrags) joins Kevin to discuss his favorite part of the pre-draft media hype (2:42), potential Bears prospects like Ronnie Stanley (6:49) and Ezekiel Elliott (12:02). 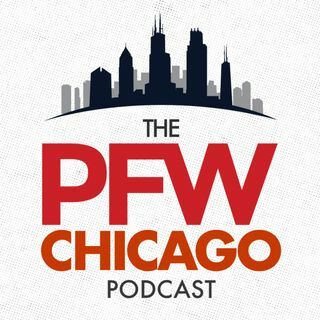 He also gives us the national perspective of what the Bears are building (16:27) and his take on Jay Cutler. Following the interview, Kevin & John answer your Bears draft questions in a special podcast ... See More mailbag (24:05).